The 2nd edition of the Africa Business and MICE Master Class will be held in Johannesburg at the BDO South Africa offices from June 10-12, 2019. The African Tourism Board is a supporting partner for this event. This program will grant industry professionals and practitioners from across Africa an opportunity to learn from renowned industry experts, connect with like-minded individuals and benefit from first-hand advice on how to advance growth in their organisations, businesses and destinations. This class will be presented by Africa Tourism Partners and its lead strategic partners, BDO South Africa and South Africa Conference Association Industry (SAACI). “Collaboration is integral to the growth of the MICE industry across Africa. 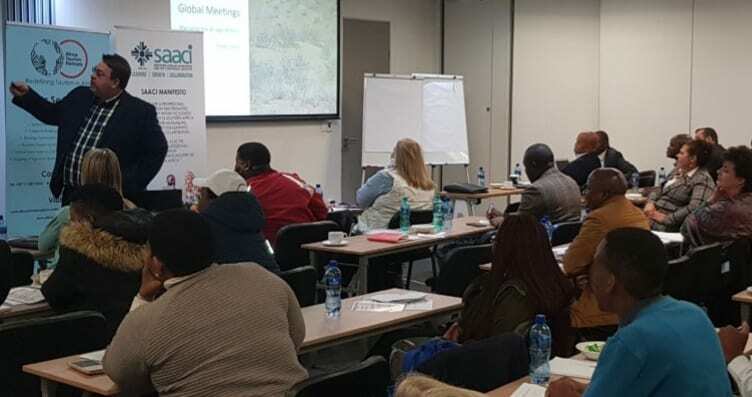 BDO is proud to be associated with the Africa MICE Masterclass program where not only newcomers benefit from the expertise of established industry players, but the experts also learn from each other,” highlights Christelle Grohmann, Director, BDO Advisory. “We look forward to hosting you from June 10-12 at our office in Johannesburg,” she adds. This year’s program has been designed in response to the high interest and recognition that the 2018 Africa Business and MICE Master Class received, making it a sought-after Continuing Professional Development (CPD) and Capacity Building program among practitioners and professionals. The inaugural course was held at the same time last year and featured illustrious industry experts and attendees from 14 African countries including Botswana, Ghana, Madagascar, Lesotho, Malawi, Mozambique, Nigeria, Tanzania, Swaziland, Kenya, Rwanda, South Africa, Zimbabwe and Zambia. “Many attendees at the Africa MICE Masterclass 2018 voiced their satisfaction with the event indicating that the intimate and interactive format and the depth and range of knowledge of the speakers kept them absorbed throughout. Even the speakers commented on it being a well-rounded learning experience that also benefited them. This is industry learning from industry from real working examples,” states Lee-Anne Bac, Director, BDO Advisory & Masterclass 2018 Attendee. Considering the increased number of African exhibitors and buyers who participated at the 2019 Meetings Africa held in February this year, it is apparent that more countries, tourism boards, convention bureaus, conference facilities, professional conference organizers and the entire African Business and MICE Tourism community now appreciate the significance of the sector. Speaking at the 2019 Meetings Africa, South Africa Minister of Tourism, Mr. Derek Hanekom stated that Business Tourism has earned its place at the economic table. He also revealed that the sector earned R71 billion revenue and contributed R115 billion to South Africa’s Gross Domestic Product (GDP). This buttresses the sector’s relevance in African economies. The Master Class is a two-and-a-half day CPD program designed with a variety of theory and practical sessions and the opportunity for further engagement in the form of business-to-business meetings. It will be conducted in conjunction with BDO South Africa, and key industry associations, including SAACI. The course is delivered by faculty experts through a practical and interactive Action-Learning methodology. This approach allows attendees to gain fresh industry insights and global best practices, learn from industry experts and connect with executives from across the continent. To register, for Business-to-Business or sponsorship opportunities please contact: Ms. Aretha Nozipho Bohlela at: [email protected] or +27 81 303 7030.